This is a custom made biltong drying box in pine that comes plain or with a **personalised name on the front of your choice. The boxes come in natural pine, teak effect, white wash or oak effect. 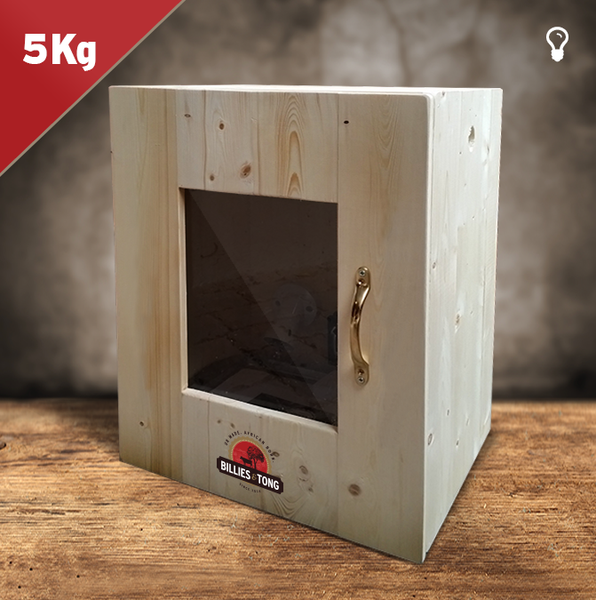 This box can hold up to 5kgs of meat. Drying time is 3 to 4 days depending on your and your cut own preference. 1 year parts warranty excluding bulbs.